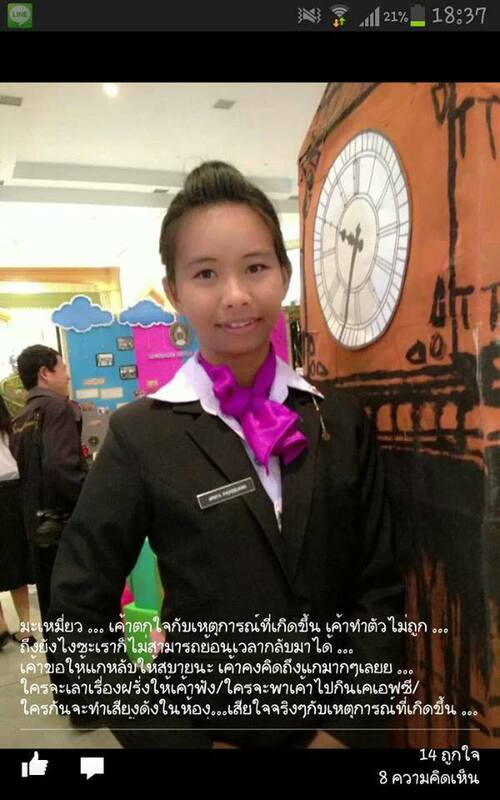 A week after I posted Gone too soon about my student who died in a car accident during the long holiday in Chiang Rai, another tragic accident happened to one of my students who belonged in the Business English group. Apinya or Mamiyao to her friends, was on the way back to her hometown of Sukothai to celebrate Mother’s Day. The motorcycle she was riding collided to the car’s trunk parked on the side of the road. The strong impact broke her neck, making her die in an instant. According to her classmates, she was riding fast while talking to her friend. And because they were riding fast, it was too late for her to make a turn. Her friend riding on the back suffered a broken leg and was then taken to the hospital. Now she is recuperating. Apinya’s body was cremated yesterday. I wasn’t there. But the whole group including some teachers from the Business English program attended the ceremony. Her being active in the class and her friendliness to people will surely be missed. I will miss her. Her classmates will miss her. But her parents, having her as an only child, will miss her beyond articulation. My heart goes out to her family and friends. May they recover quickly from this tragic moment in their lives. To Apinya, you were a joy to us, and you will always be.